Be Aware Of Getting Osteoporosis! Ways to keep your bone away from Osteoporosis. We can't stop aging and its consequences like tiredness, silver hair, etc. Among them chance of getting osteoporosis is more than other diseases especially for women. The earlier sign of Osteoporosis is Osteopenia, means less bone density caused by less bone minerals. Every bone in our body needs its own energy to survive. The energy is obtained through perfect diet, proper exposer to sun light, perfect amount of "VITAMIN D and CALCIUM". Osteoporosis will happen for both sexes but the chance of exposing to it was much higher for women. Why it always targeting women? Women have thinner bone than men and its smaller too and Estrogen, a famine hormone which protects bone will reduces regularly on menopause. The imperfect diet and long term fasting will also take part in it. Insufficient minerals to the bone leads to future fracture. How to prevent from this horrible disease? To prevent Osteoporosis the prevention measures should be taken earlier. Young women must take appropriate actions, it will be easy while they are still young because in certain age the same prevention action seems tougher according to their health. Make some small changes in your diet. Start your day with rich calcium breakfast like Ragi flour, Banana, Apple and nuts. Milk and its side products are one of the best supplements of calcium. In an average you should take 500 ml of Milk every day dividing it as Morning and Evening. Consider about Soya Beans, Soy products, Cheese, Spinach, Almonds, Dates that are more calcium rich products. Exercise is must; giving proper exercise will reduce 70% chance of getting Osteoporosis. More importantly a normal human being should need minimum exposure to sunlight to get Vitamin D.
Take necessary hard work to lead a happy and healthy life. Tamil culture was based on the healthy food standards. They followed Food as the health drug. They had been following standards of food according to their climate and other conditions. So they lived healthy life before a century. But Now they missed those things and being affected by various diseases and health defects. 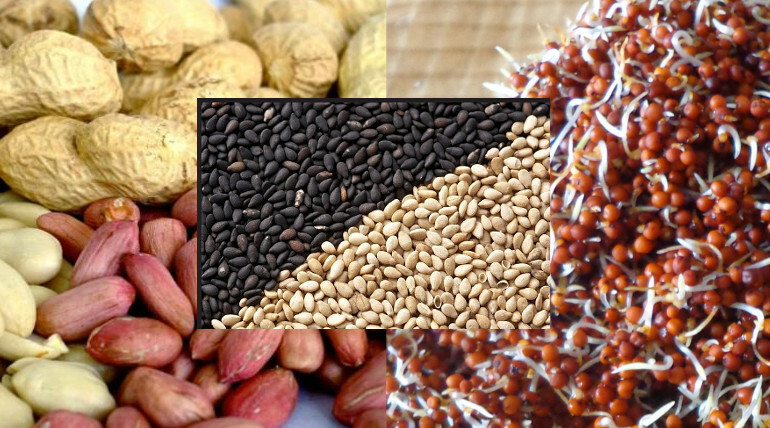 The traditional calcium rich food includes coconut milk, rice varieties (red rice, brown rice, black rice, raw rice,...), palm products (sugar, jaggery), green leaves, Fenugreek, Pea nuts, Sesame seeds (products like el candy), fishes, curd and every sprouted seeds and beans.